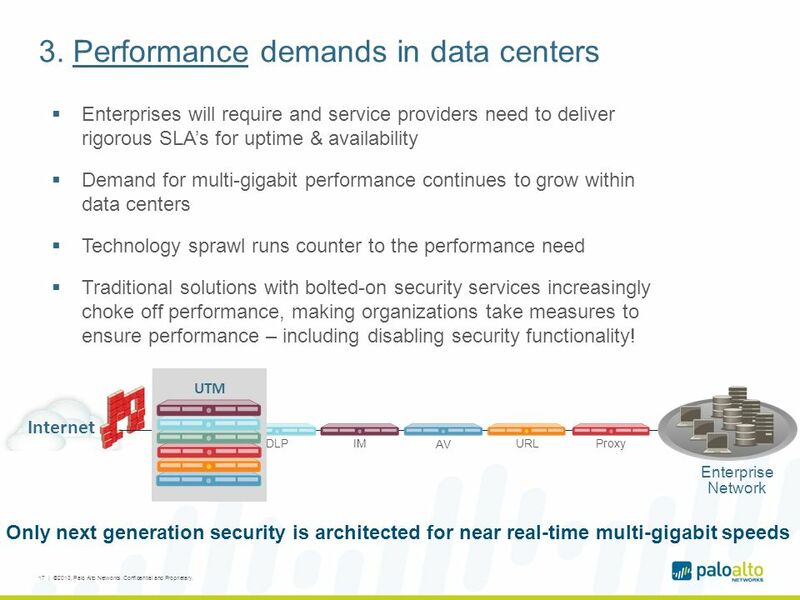 Security as an Enabler for Data Centers and Cloud Networks Adam Geller Vice President, Product Management July 16 th, 2013. 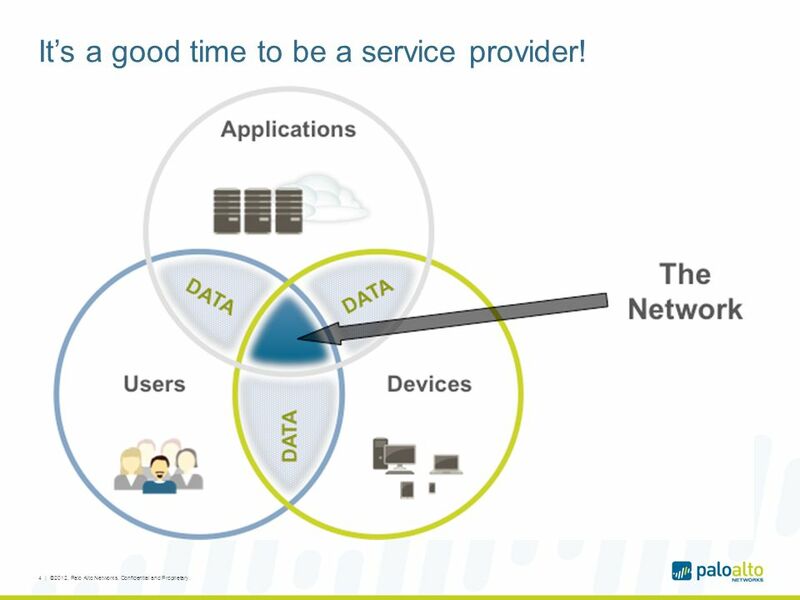 4 It’s a good time to be a service provider! 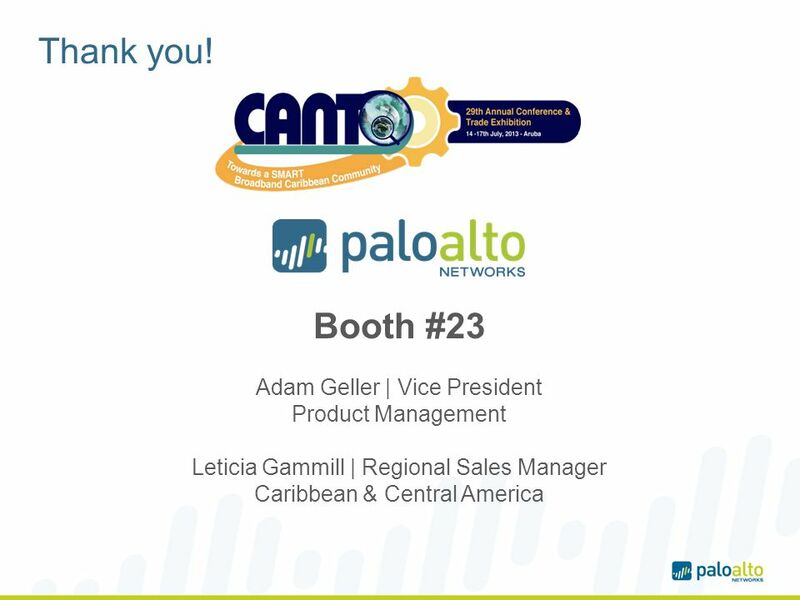 4 | ©2012, Palo Alto Networks. Confidential and Proprietary. 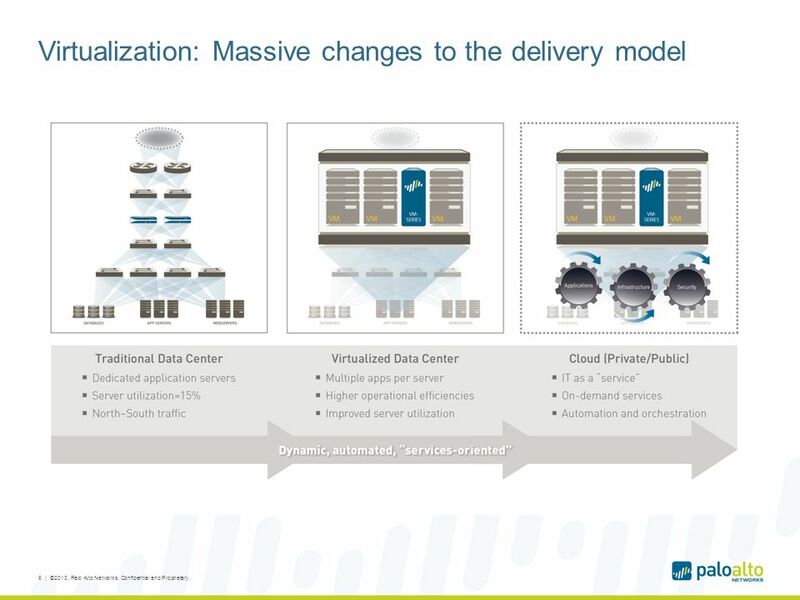 6 Virtualization: Massive changes to the delivery model 6 | ©2013, Palo Alto Networks. Confidential and Proprietary. 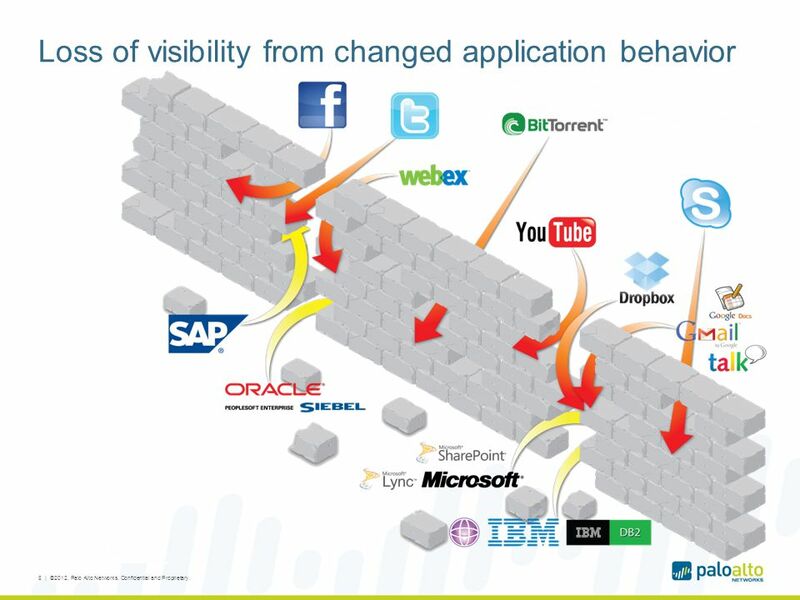 8 Loss of visibility from changed application behavior 8 | ©2012, Palo Alto Networks. Confidential and Proprietary. 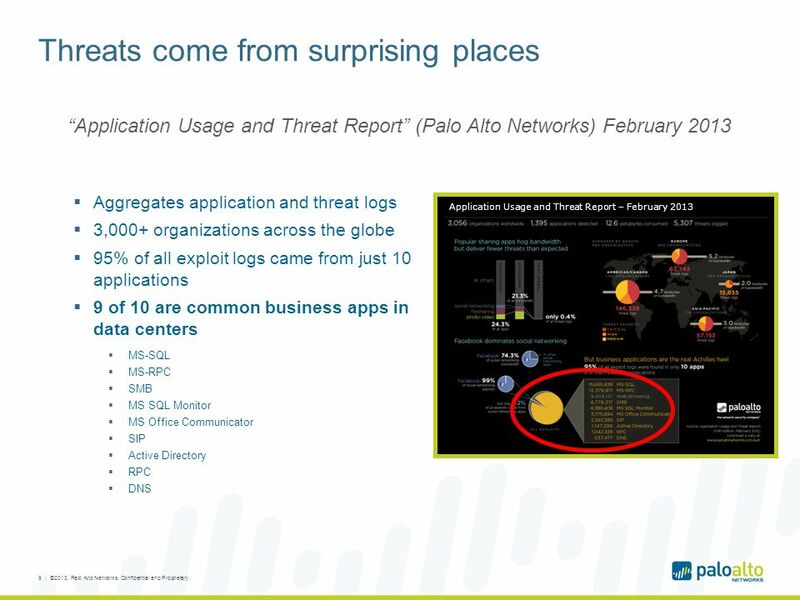 9 Threats come from surprising places Application Usage and Threat Report – February 2013 “Application Usage and Threat Report” (Palo Alto Networks) February 2013  Aggregates application and threat logs  3,000+ organizations across the globe  95% of all exploit logs came from just 10 applications  9 of 10 are common business apps in data centers  MS-SQL  MS-RPC  SMB  MS SQL Monitor  MS Office Communicator  SIP  Active Directory  RPC  DNS 9 | ©2013, Palo Alto Networks. Confidential and Proprietary. 14 1. Visibility and 2. 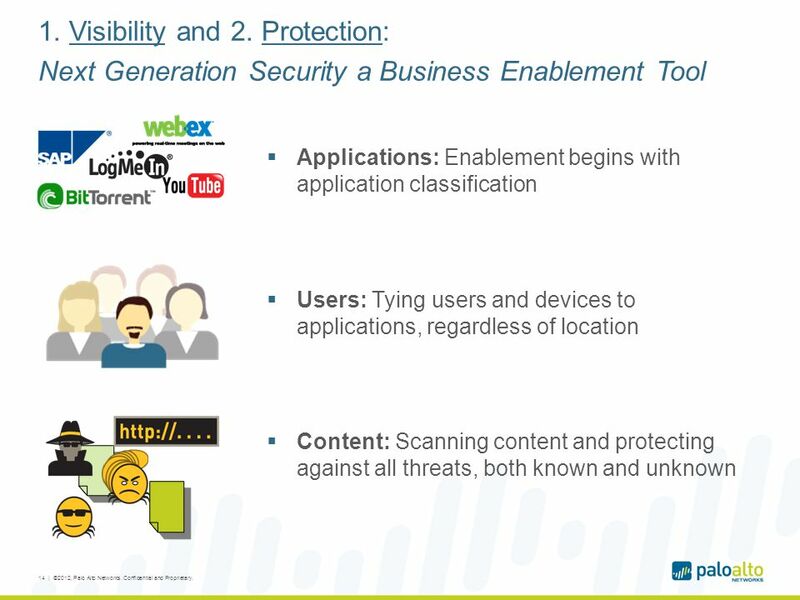 Protection: Next Generation Security a Business Enablement Tool  Applications: Enablement begins with application classification  Users: Tying users and devices to applications, regardless of location  Content: Scanning content and protecting against all threats, both known and unknown 14 | ©2012, Palo Alto Networks. Confidential and Proprietary. 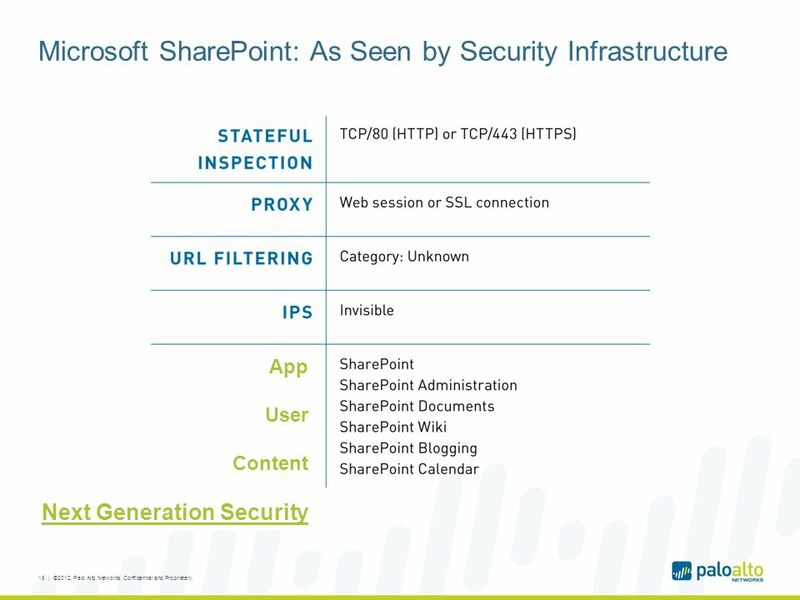 15 Microsoft SharePoint Example 15 | ©2012, Palo Alto Networks. Confidential and Proprietary. 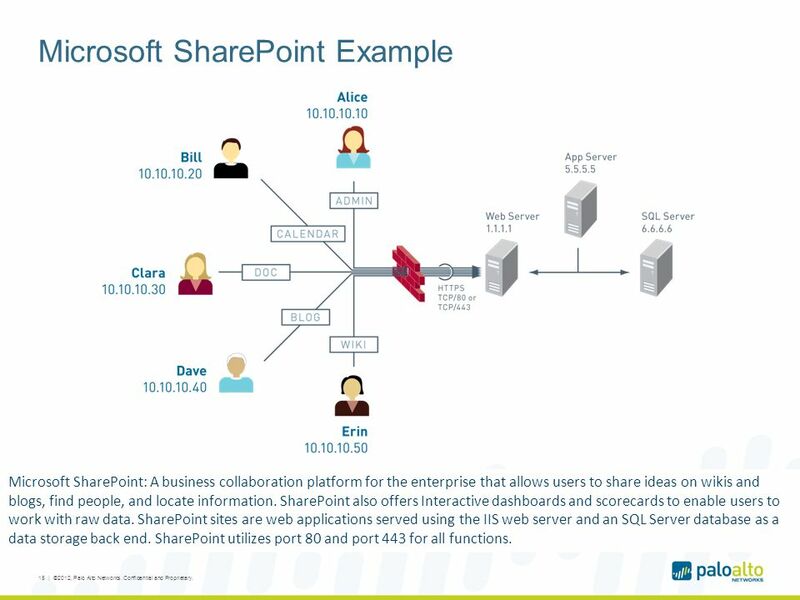 Microsoft SharePoint: A business collaboration platform for the enterprise that allows users to share ideas on wikis and blogs, find people, and locate information. SharePoint also offers Interactive dashboards and scorecards to enable users to work with raw data. SharePoint sites are web applications served using the IIS web server and an SQL Server database as a data storage back end. SharePoint utilizes port 80 and port 443 for all functions. 18 4. 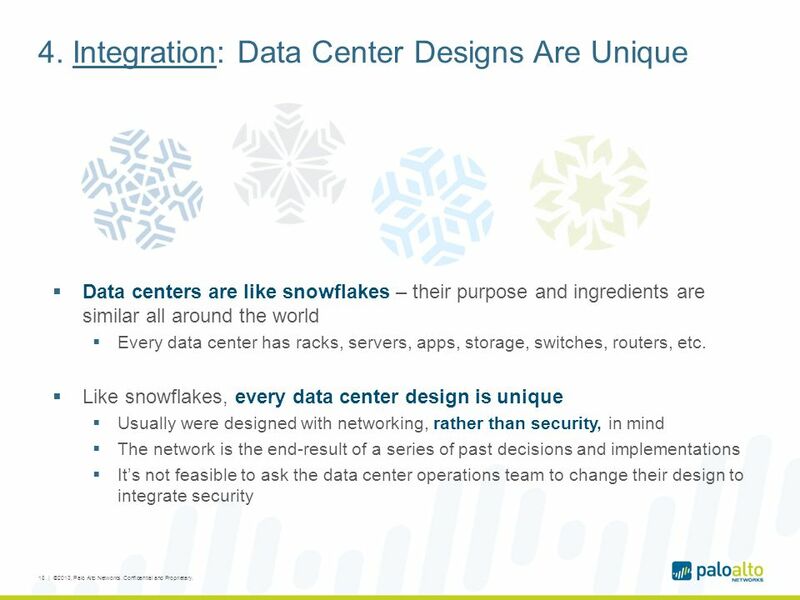 Integration: Data Center Designs Are Unique  Data centers are like snowflakes – their purpose and ingredients are similar all around the world  Every data center has racks, servers, apps, storage, switches, routers, etc.  Like snowflakes, every data center design is unique  Usually were designed with networking, rather than security, in mind  The network is the end-result of a series of past decisions and implementations  It’s not feasible to ask the data center operations team to change their design to integrate security 18 | ©2013, Palo Alto Networks. Confidential and Proprietary. 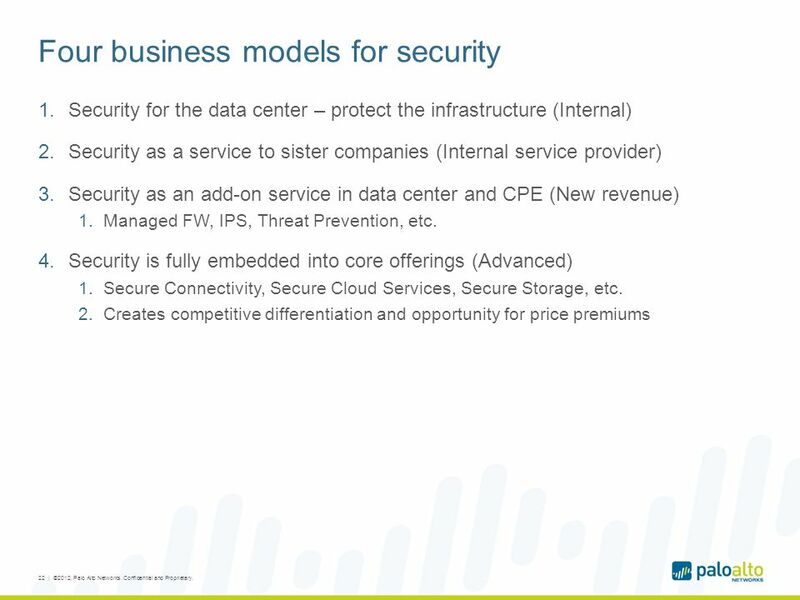 22 Four business models for security 1.Security for the data center – protect the infrastructure (Internal) 2.Security as a service to sister companies (Internal service provider) 3.Security as an add-on service in data center and CPE (New revenue) 1.Managed FW, IPS, Threat Prevention, etc. 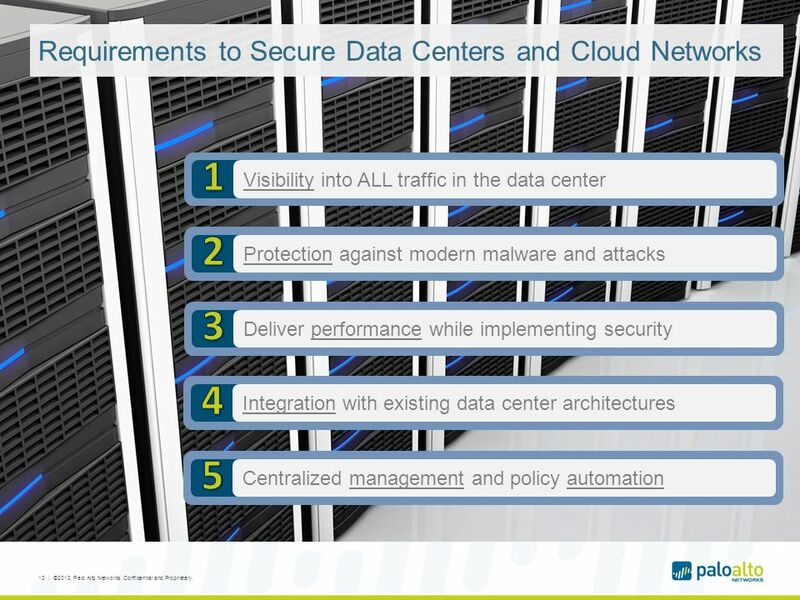 4.Security is fully embedded into core offerings (Advanced) 1.Secure Connectivity, Secure Cloud Services, Secure Storage, etc. 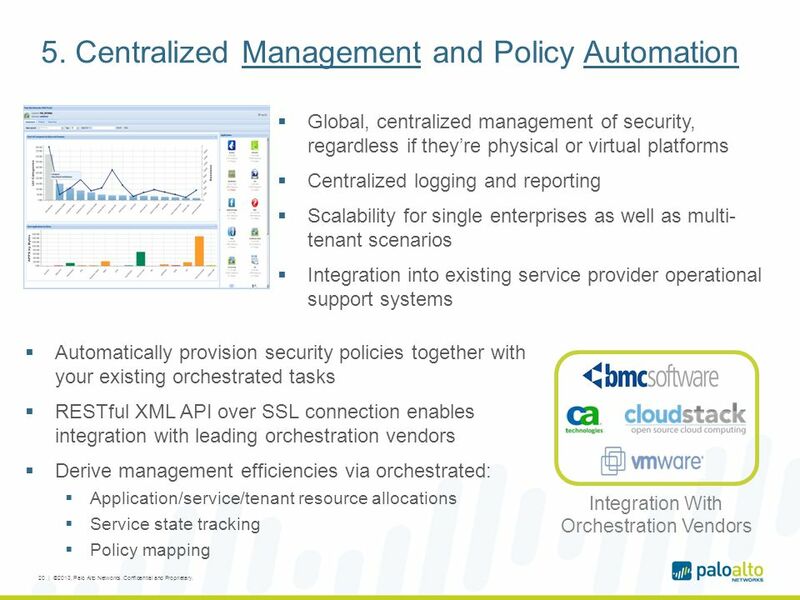 2.Creates competitive differentiation and opportunity for price premiums 22 | ©2012, Palo Alto Networks. Confidential and Proprietary. 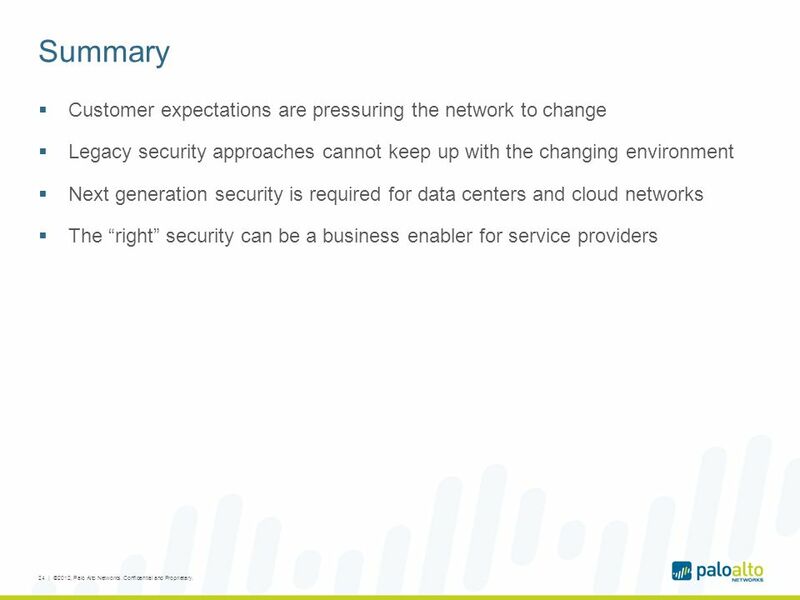 24 Summary  Customer expectations are pressuring the network to change  Legacy security approaches cannot keep up with the changing environment  Next generation security is required for data centers and cloud networks  The “right” security can be a business enabler for service providers 24 | ©2012, Palo Alto Networks. Confidential and Proprietary. 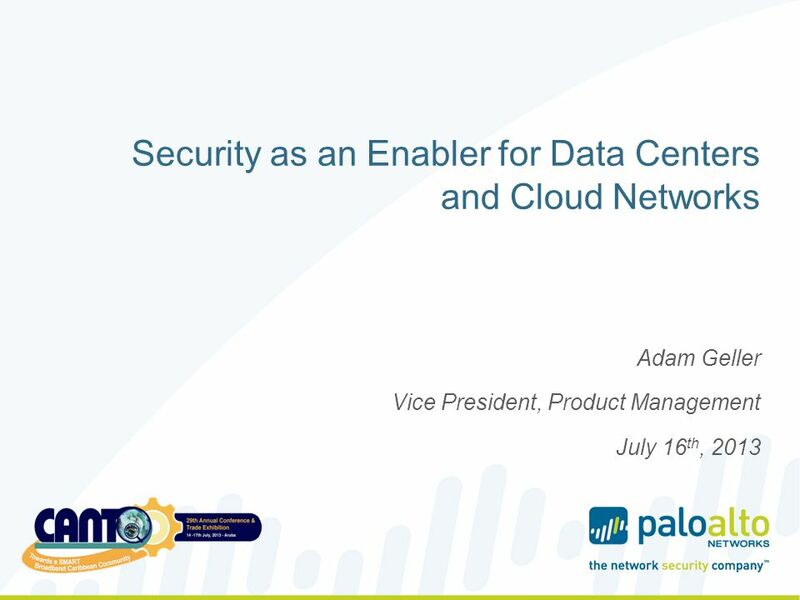 Download ppt "Security as an Enabler for Data Centers and Cloud Networks Adam Geller Vice President, Product Management July 16 th, 2013." 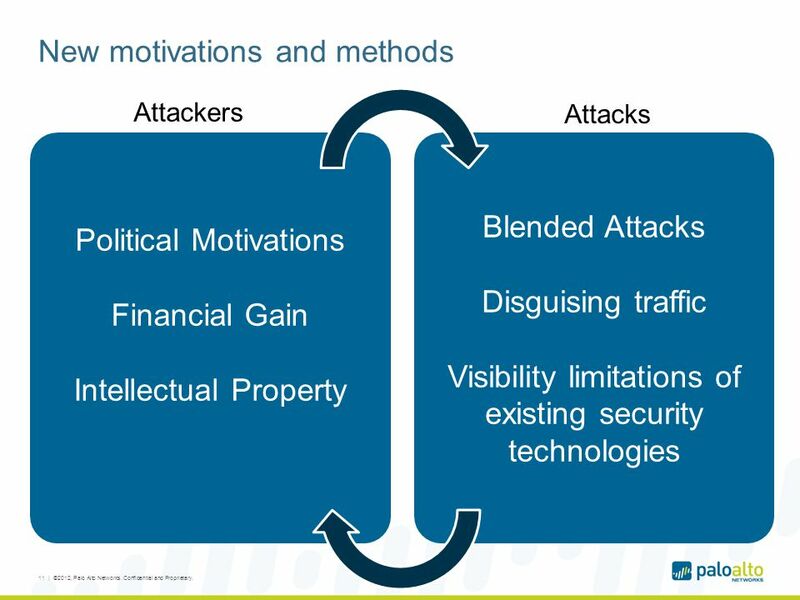 New Solutions to New Threats. 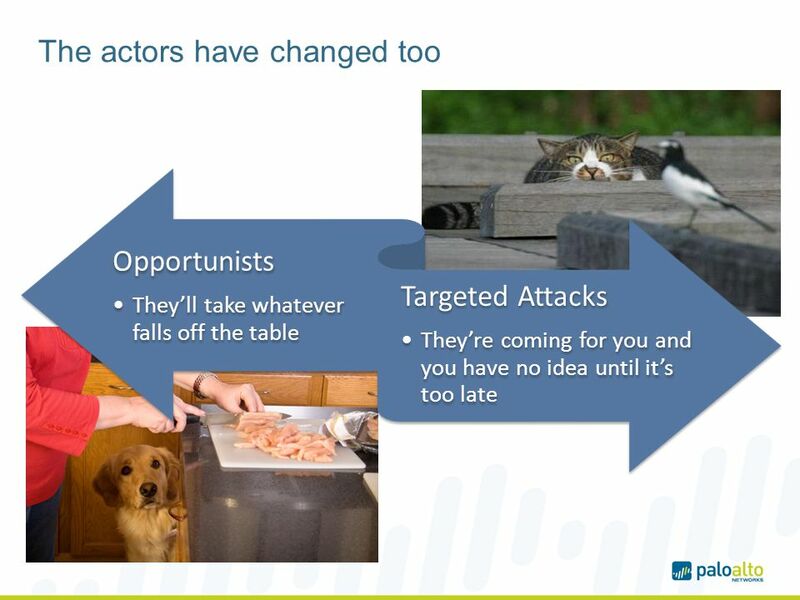 The Threats, They Are A Changing Page 2 | © 2008 Palo Alto Networks. Proprietary and Confidential. Firewalls By Tahaei Fall What is a firewall? 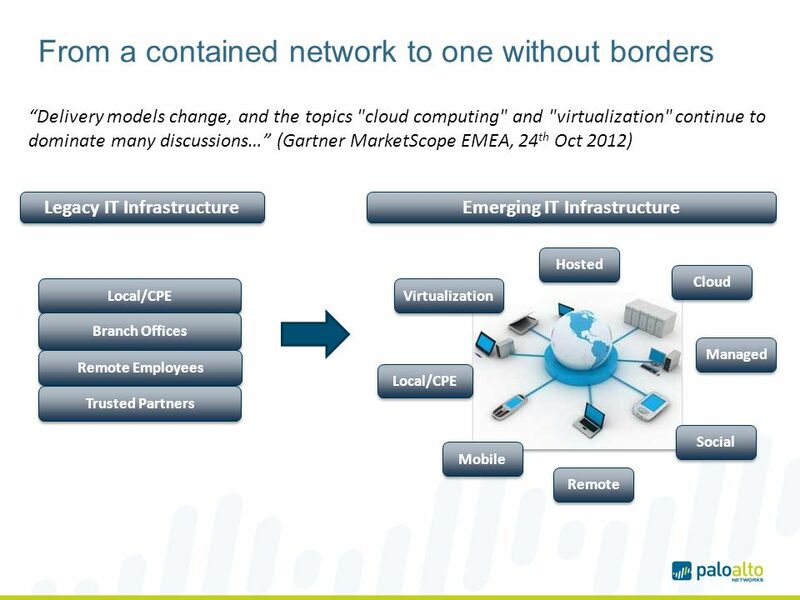 a choke point of control and monitoring interconnects networks with differing trust imposes restrictions. 11 Zero Trust Networking PALO ALTO NETWORKS Zero Trust Networking April 2015 | ©2014, Palo Alto Networks. Confidential and Proprietary.1 Greg Kreiling. © 2014 Level 3 Communications, LLC. All Rights Reserved. Proprietary and Confidential. 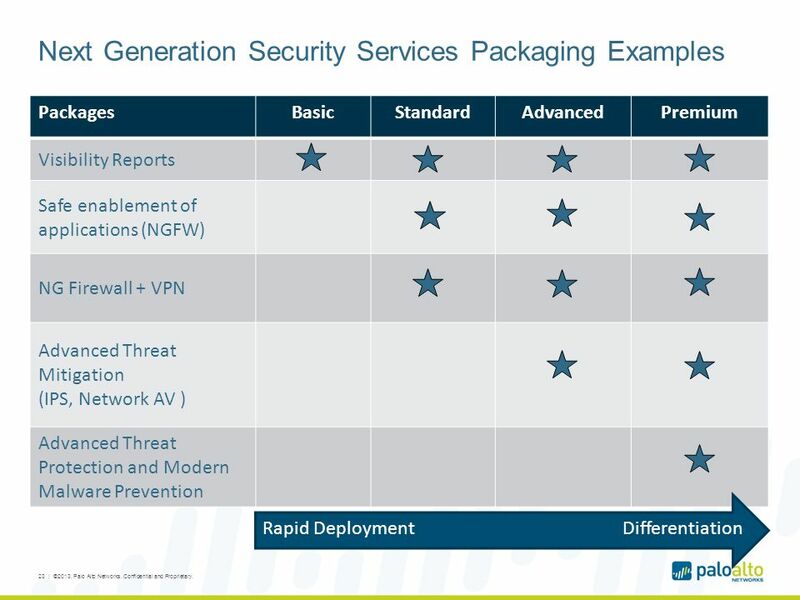 Polycom event Security Briefing 12/03/14 Level 3 Managed Security. PCM2U Presentation by Paul A Cook IT SERVICES. PCM2U Our History  Our team has been providing complete development and networking solutions for over. 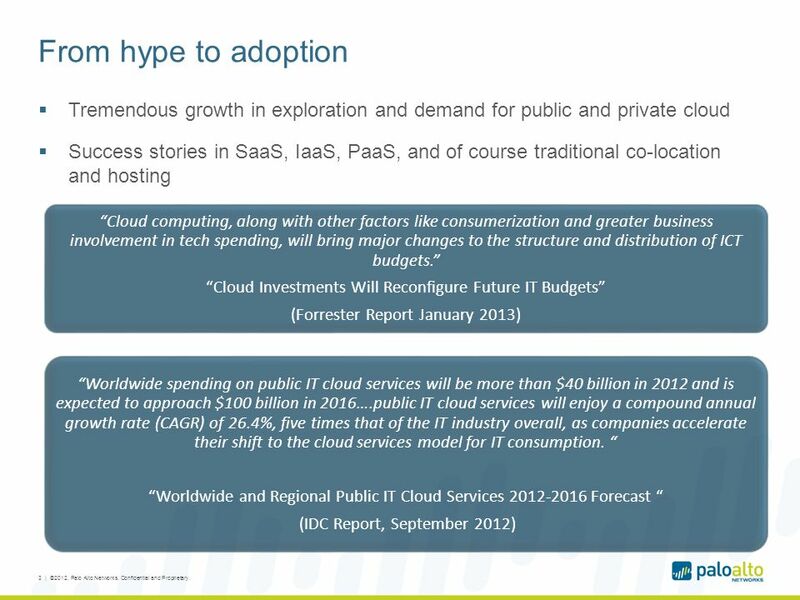 Plan Introduction What is Cloud Computing? 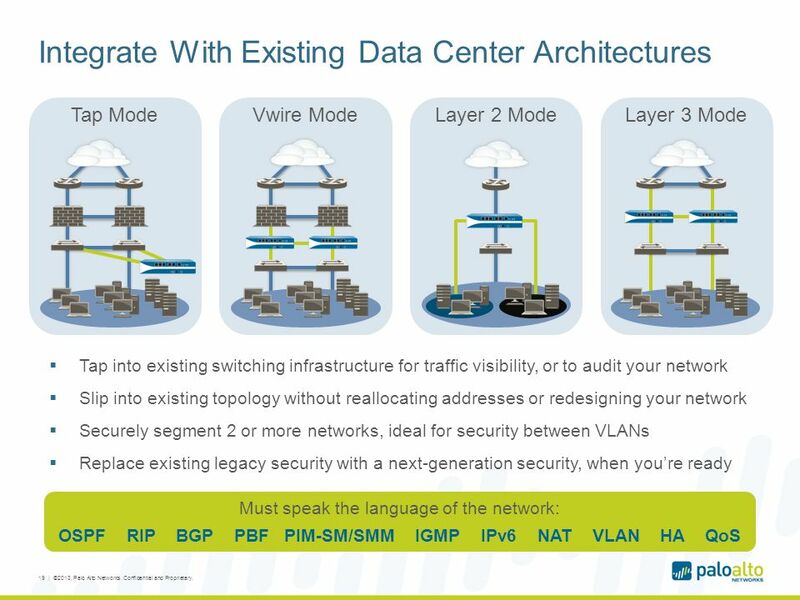 How to protect your Virtual Datacenter Michiel van den Bos.